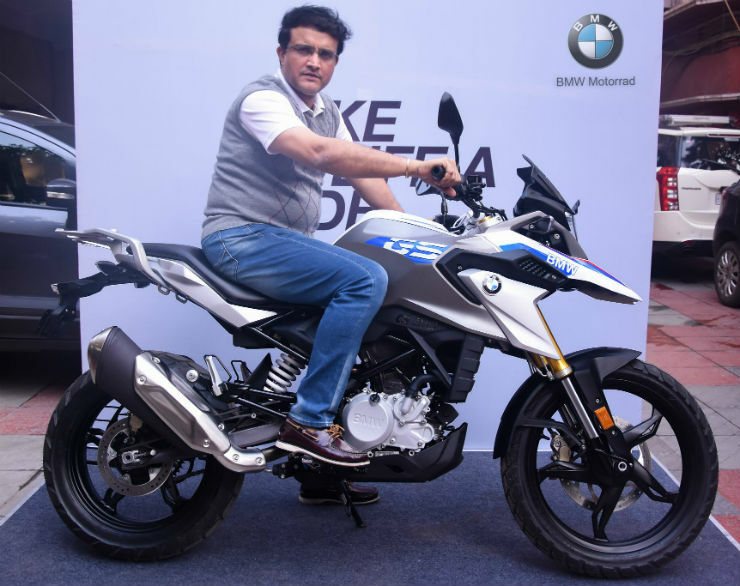 Sourav Ganguly, one of the most successful captains of the Indian cricket team has got his hands on a brand new BMW G310 GS adventure bike. 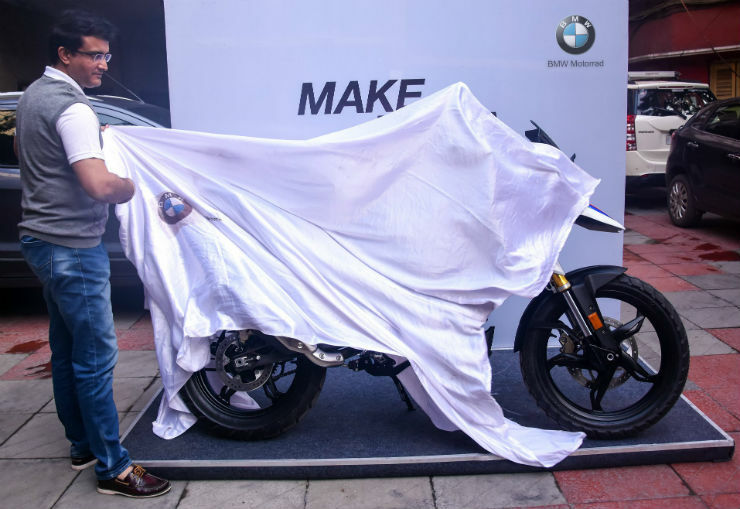 He took the delivery in Kolkata and pictures were officially shared by BMW Motorrad India. Last year Yuvraj Singh took the delivery of the all-new bike. The all-new BMW G310 GS is the most affordable adventure bike from the BMW brand in the world. The bike is the product of BMW-TVS joint venture. The other bikes that came of the joint venture are the BMW G310R and the TVS Apache 310. The BMW G310 GS has priced at Rs. 3.5 lakh, ex-showroom and there is no direct competitor of the bike in the Indian market. Ganguly regularly uses a new-generation BMW 7-Series to move around and for his daily work commute. However, he has not been ever spotted on a motorcycle in recent years. It is quite possible that Ganguly took the bike for a family member. It will be great to see the ex-Indian captain to take on the streets on the new BMW G310 GS though. BMW G310 GS shares the engine and chassis with the naked BMW G 310R. It also shares a lot of parts with the TVS Apache 310. The BMW G310 GS was developed in Germany in the BMW headquarters but is manufactured right here in India and is exported to around the world. The BMW G310 GS is designed to tackle the off-road and rough roads. It gets a high ground clearance, high exhaust position, and rear platform to mount the luggage effortlessly. The BMW G310 GS also gets the beak design element from the bigger GS series that gives it an authentic look. The bike gets a fully digital speedometer that shows a lot of information. The all-new BMW G310 GS also gets long travel upside down suspension at the front and a monoshock in the rear. The engine of the BMW G310 GS is mounted in reverse-inclined position, similar to the TVS Apache 310. It allows the bike to have a lower centre-of-gravity, which increases the balance and makes it much more fun to ride. It is powered by a 313cc, single-cylinder, liquid-cooled engine that generates a maximum power of 34 Bhp and peak torque of 28 Nm. The bike gets a six-speed transmission. The reverse mounted engine also allows the swingarm to be longer while keeping the wheelbase of the bike short. It makes the bike much more stable on the straight lines while making it agile on the turns. The BMW G310 GS can accelerate from 0 to 50 km/h in just 2.5 seconds. Officially, it can reach a top speed of 143 km/h. There are no direct rivals of the BMW G310 GS in the Indian market at the moment. However, soon KTM will launch the all-new 390 Duke-based ADV bike, which is expected to be launched later this year. It will take on the BMW product directly.